Transient Shaper, Software transient shaper from Softube. 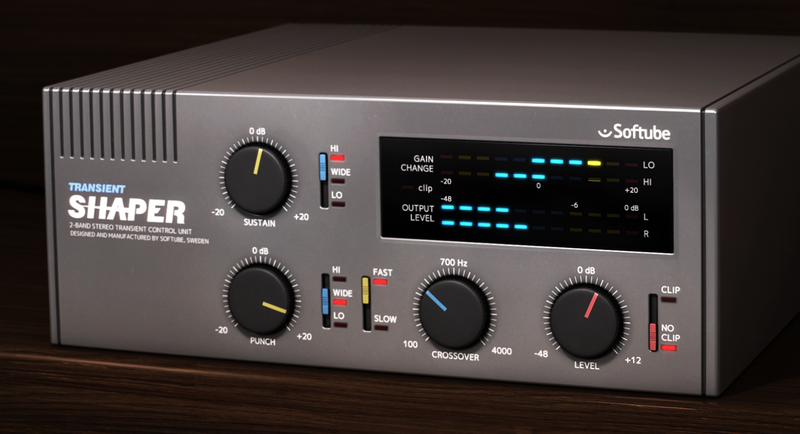 Announced at NAMM 2015, the new Softube transient shaper plug-in is now available. 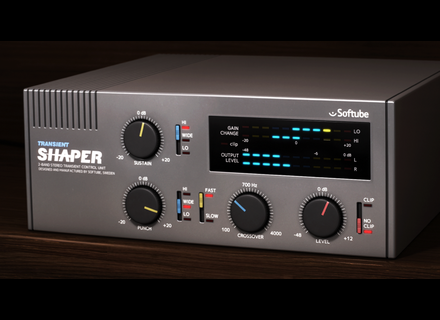 The Softube Transient Shaper is a VST 2/3, AU and AAX native and DSP plug-in for Mac OS X and Windows. Its particularity is its dual band processing capacity, with adjustable crossover frequency and separate controls for each band. You can add or reduce punch and/or sustain and add distortion on the output. You can read the presentation of the Transient Shaper in our previous news and at www.softube.com. The plug-in is available for $99. Samson Conspiracy USB MIDI controller Samson will soon launch Conspiracy, a new USB-powered multifunction MIDI control surface for live and studio musicians and DJs.